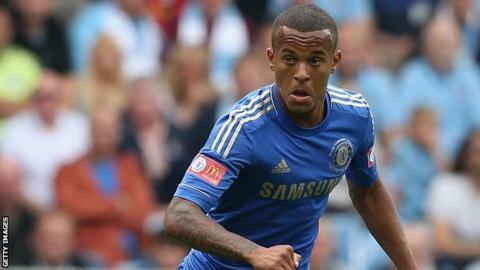 Ryan Bertrand has committed his future to Chelsea by signing a new five-year deal with the European champions. The 23-year-old defender was just one year into the four-year deal he had signed last summer. However, the full-back has been rewarded with a new deal after a promising start to the season. He is currently with England ahead of the World Cup 2014 qualifiers against Moldova and Ukraine, having made his debut last month against Italy. Bertrand became the first player to make his Champions League debut in the final itself when Chelsea beat Bayern Munich on penalties in May. He also was also part of Stuart Pearce's Team GB squad at the London 2012 this summer.